This plane carried a normal complement of the (10). It is beleived thazt this plane held its position, bombed and was finally knocked-out around 1330 hours somewhere between Dummer Lake area and the Dutch border. No specific identification of the plane was made but two (2) of our crews (Lt SHOUP and Lt DRISCOLL) reported a plane in the rear squadron falling out at about 1330 hrs. Lt SHOUP's crew saw one parachjute, Lt DRISCOLL's crew saw four (4) parachutaes and in addition Lt BRYSON's crew and Lt McGiverin's crew saw a B-24 going down at the same time and at approxmately the same area with eight (8) parachutes opening. 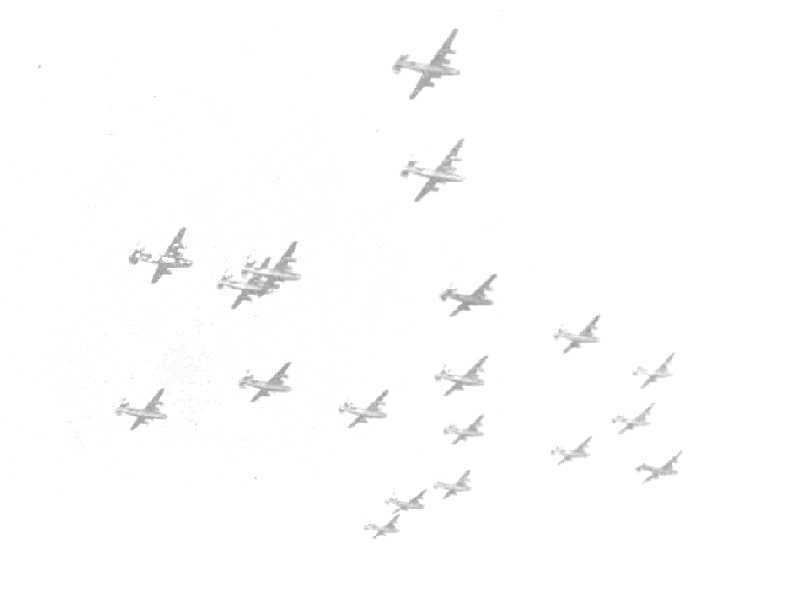 At about this time and place 12 FW 190's and 15 Me 109's attaacked the formation.